Event for veterans and their family’s to enjoy food with other veterans. 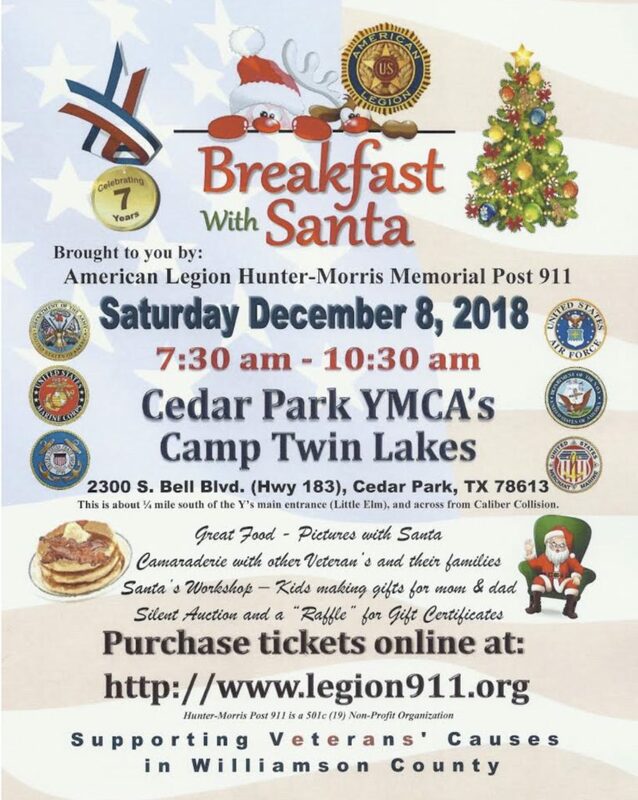 We will have pictures taken with Santa,, story telling, kids and adult raffle for gift cards and certificates as well as lots of breakfast items. This will be held at the Cedar Park Camp Twin Lakes. The drop down didn’t bring that up.